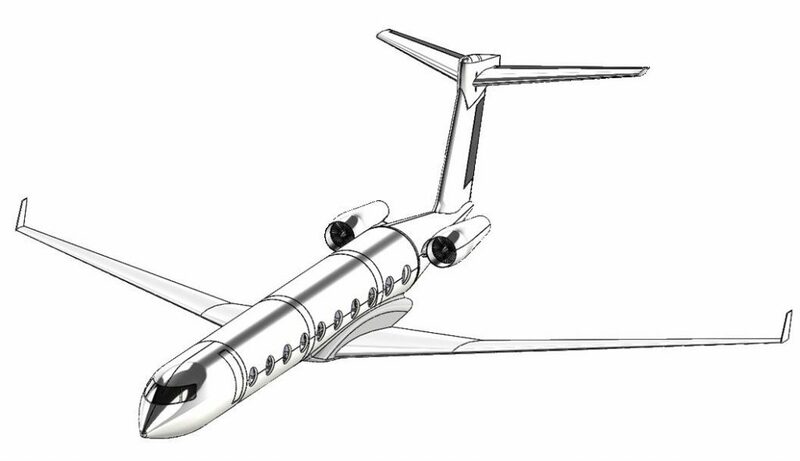 This project deals with the conversion of a “Large Cabin” business jet into a regional airliner. The platform chosen for the conversion is the ABJ-100 business jet, which was also developed in a student’s project, in the faculty of aeronautical engineering at the Technion (during 2013/14). The new aircraft was dubbed ARJ-100 (Advanced Regional Jet). It is important to note, that the conversion of a business jet into an airliner is unique in the aviation industry. As a matter of a fact, a short inqury has yielded no precedent examples. Seemingly, there are several advantages for this conversion. It offers a business jet manufacturer a possibility to break into the regional airliners market, in relatively small investment, an thus expanding its target markets and potential sales. Moreover, using a business jet as a base, will guarantee good runway performances. notwithstanding, there are several uncertainties and risks involved, such as the limited cabin volume and potential passenger capacity, fabrication and operation costs, and the chances of success in the competitive regional airliners market. The ARJ project examines the feasibility of this novel conversion. Design of passenger cabin, and extension of the existing fuselage. Balancing the new configuration, by calculations of center of mass and neutral point, and relocating the wing. Choosing a propulsion system, and building an engine deck. Flaps design, including CFD analysis for validation of design quality. Aerodynamic analysis of the aircraft, based on preliminary design empirical/analytical estimations, CFD and sub-sonic wind tunnel testing. Building kinematic simulations of the aircraft (including a 6 DOF simulation). Designing control loops, for the flight control system. Various system engineering procedures such as market survey, development of productivity model, and determining the system requirements.